'Watch Dogs 2' is filled with nearly limitless pop culture references and good vibes that any person who has ever been on the internet would recognize. It's probably an understatement to say that when #Ubisoft first revealed the 10 minute trailer for the original Watch Dogs, the world was taken by storm. It was ambitious and looked like it had the potential to be a massive hit. Watch Dogs, at first glance, seemed to combine aspects of Grand Theft Auto with a world of complete synchronization that is perpetually connected to the internet and thus can be hacked if a person knows what they're doing. And it looked stunning. After a few delays (two years) Watch Dogs was finally released in 2014, and it was pretty evident that the vision Ubisoft had for it's new game was almost too ambitious. The game that looked revolutionary, wound up getting bogged down with its dark tone and bland game play. Yet, its commercial success led to an inevitable sequel, and that's what brought us to November 15th, 2016 when Watch Dogs 2 arrived - and fans were absolutely stunned. 'Watch Dogs 2' embraces internet culture. Watch Dogs 2 is far and away a better game in every aspect than the original, and that's thanks to Ubisoft listening to fans and learning from the mistakes of the first game. The original Watch Dogs attempted to look at the world that could be: a world many people had no idea existed until Edward Snowden told us so. Yet, Watch Dogs never really connected it all together; it told us that a hyper-connected reality was dangerous, but it did so in a clunkly, clumsy, poorly planned manner - and we all took note of how lackluster it was. Camaraderie and ridiculous antics define 'Watch Dogs 2'. Watch Dogs 2 on the other hand is filled with nearly limitless pop culture references and good vibes that any person who has ever been on the internet would recognize. Essentially, Watch Dogs 2 is what happens when Reddit itself is turned into a video game: It's full of comedic moments, lightheartedness, and a love for internet culture as a whole and it's that theme that drives the game forward. 'Watch Dogs 2' tells a social message, but gets out of its own way. 'Watch Dogs 2' focuses on the lulz. Watch Dogs 2 at times can seem over your head in terms of some of the language like script kiddies, zero-day exploits, and backdoors but it makes a point to make it all genuinely approachable for all gamers. It's written for fans of internet culture, and that's a huge improvement on the original game. The writing of Watch Dogs 2 is absolutely on point, and all of the hacking trends are not flippantly tossed around without consequence. All of the focus that Ubisoft poured into the characters and story while also adding in the reddit-style banter among the characters is absolutely rewarding if you take the time to engage. The characters are larger than life, but still deep enough to enjoy. 'Watch Dogs 2' doesn't take itself too seriously. The whole premise of Watch Dogs 2 revolves around your character, Marcus Holloway, and his crew of devoted hacktivists as they attempt to bring down the newly revamped ctOS that controls every aspect of the San Francisco environment. If you played the original Watch Dogs, then ctOS will ring a bell as the central system that Aiden Pierce and DedSec were trying to take down as well. If you base your opinion on the screenshots that you see for Watch Dogs 2, then it would make sense to ask yourself what if the world was ruled by hipsters? - And I can definitely see the comparison. But it's that style that really helps Watch Dogs 2 come into its own, and what makes it so absolutely enjoyable. 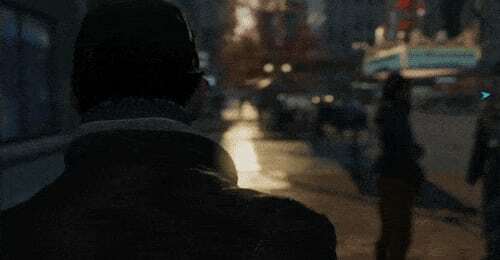 The message of 'Watch Dogs' remains, but its colored in a new (brighter) light. It takes everything that is the internet and turns it into a video game. Watch Dogs 2 places itself in the heart of the Bay Area; a richly vibrant and stunningly diverse area. Ubisoft went above and beyond in how they represented all facets of our culture when they created their rendition of San Francisco. It's full of authentic diversity, from the diverse LGBT community to the social-Starbucks magnates. Yet even with the obvious inclusion of different races, genders, and orientations, it never once feels forced or distracting; it enhances the experience. Read next: Could 'Pokemon GO' Land A Critical Hit On Your Cell Phone Data? Could 'Pokemon GO' Land A Critical Hit On Your Cell Phone Data?